Budget 2019 Impacts on Ontario Government Funding | Mentor Works Ltd.
Ontario’s first budget under the Conservative government offers an array of measures designed to help businesses. Through tax incentives and the potential for new and modernized government grants and loans, there are many direct financial incentives worth discovering. Other considerations supporting the business community include lower hydro rates, reduction of regulatory “red tape,” freezing the minimum wage at $14/hour, and expanding broadband internet infrastructure to rural communities. Budget 2019 provides modest reductions in spending while continuing to support Ontario government funding programs that lead to business growth. It’s likely that there will be several announcements made about government funding programs later this year. The government is conducting “value for money” reviews of its direct financial incentives and may phase out those that do not align to the government’s investment strategy. Despite these cuts, the government funding landscape is expected to receive new additions with the “Open for Business Blueprint” getting tabled in the fall. Business leaders should be excited for many of these changes as it supports numerous economic development and diversification opportunities. Having tabled its first budget as provincial government, Ontario’s Conservatives outlined a five-year path to balancing the budget, ending with a modest surplus in its fifth year. Getting to that point requires many steps in terms of reviewing the Province’s financial commitments and understanding where the system can be optimized to save money. While this means that some Ontario government funding programs may be ending in the next months or years, we’re optimistic that new business-friendly incentives will supplement the remaining funds and provide a generally positive funding landscape. Budget 2019 identifies that Ontario will dedicate a portion of provincial ministries’ research and development funding towards a new procurement program focused on entrepreneurs and other high-potential businesses. Similar to the federal Innovative Solutions Canada (ISC) procurement model, it seems that government departments will communicate challenges currently experienced, then develop a request for proposals (RFP) process where businesses identify solutions. The government then selects solutions best fitting the RFP and request businesses to develop, test, and ultimately sell the innovation in exchange for procurement contracts. Ontario plans to hold consultations over the coming months to develop this envisioned program. Ontario’s recently released Driving Prosperity plan outlines a series of supports designed to improve the automotive industry’s productivity and competitiveness. Further detailed in Budget 2019, the 10-year plan will receive an investment of approximately $40 million over the next three years, with additional funding coming later in the plan’s lifetime. Its sweeping supports for the industry propose many positive changes, including minimizing regulatory “red tape,” investing in autonomous vehicle infrastructure, encouraging cross-border trade and investment, and introducing new government funding programs for automotive suppliers and assemblers. AVIN Wintertech: New funding that will provide a competitive call for proposals on mobility products and services that can perform in severe winter weather conditions. Applicants may have access to funding and/or testing services at AVIN’s Technology Demonstration Zone. AVIN TalentEdge: Businesses can reduce the costs of hiring an intern or fellow from one of Ontario’s post-secondary institutions to support connected and autonomous vehicle research projects. Support scales easily in four-month internship units or twelve-month research fellowships, with funding of $10,000 or $35,000 per unit respectively. Company contributions are required to cover additional research costs, however it provides exceptional access to research talent at a significantly reduced rate. This year’s provincial budget recognizes that economic development in the last 15 years has primarily focused on urban centres in the Greater Toronto Area. While more than two-thirds of new jobs have been created in the GTA, only 46% of Ontario’s population resides there. Because of this trend, those living in rural areas have experienced declining employment income and need to travel farther to reach larger employment centres. While no formal government funding programs were announced in Budget 2019 to support regional economic development, it notes that the Province will review its existing government grants while also exploring changes in tax incentives that would provide economic support to areas where growth has stagnated in recent years. By extending funding more equitably to businesses in these regions, the government expects additional investment and jobs to be created. No details have been provided about the future of the Rural Economic Development (RED) funding program, although it could be revised to enhance support for business expansion and diversification projects. The Francophone Community Grants Program has historically provided Ontario government funding for community-based projects. While businesses were eligible to apply, the program lacked a focus on economic development opportunities and was not an ideal funding opportunity for companies. Budget 2019 expands the reach of this program, keeping a focus on community projects while also placing a greater emphasis on business expansion. This could result in a new stream of funding becoming available for businesses, or a change in the program’s language and application evaluation criteria making it easier for businesses to be successful with growth projects. The Ontario Automotive Modernization Program (OAMP) is designed to enhance the previously offered Automotive Supplier Competitiveness Improvement Program (ASCIP), a manufacturing grant that supported investments in productivity-improving hardware and software systems. Like ASCIP, OAMP will focus on integrating innovative equipment that reduces costs and expands manufacturing capabilities. While few details have been announced, it’s expected that successful applicants will be able to receive up to 50% of eligible project costs to a maximum $100,000 in non-repayable funding contributions. More details will be announced leading up to OAMP’s launch set for either spring or summer this year. Canadian Agricultural Partnership (CAP): Ontario continues to support CAP, a federal-provincial partnership that pools resources from both levels of the government in benefit of agricultural producers and agri-food processors. Since June 2018, more than 1,150 projects have been supported through government grants and have directly encouraged investment into productivity, innovation, and exports. Financial Protection and Risk Management: The government will explore changes to its regulatory environment with proposed amendments to its Farm Products Payments Act and Risk Management Program. These changes will help lower costs for farmers while providing better predictability on commodity prices despite fluctuations in market prices. The Ontario Job Creation Investment Incentive is specifically designed to support capital investments made by manufacturers in key areas that boost productivity and lead to the creation of new high-quality jobs. Through the program, companies purchasing manufacturing, processing, or clean energy equipment can immediately write off the full cost of this investment. Most other assets purchased for the purposes of improving productivity and cost competitiveness can be covered through an Accelerated Investment Incentive. This Investment Incentive also seeks to reduce the province’s marginal effective tax rate (METR) from 16.0 per cent in 2018 to 12.6 per cent in 2019. This will help to keep more investment in Canada than might otherwise flow to the United States, where METR rates fell from 29.8 per cent in 2017 to 18.7 per cent in 2019. The Government of Ontario is actively reviewing energy conservation programs to understand what incentives have a direct impact on businesses and homeowners’ energy usage patterns and investment into energy-efficient technologies. Programs that do not provide good value for money will be eliminated or modernized with the potential of saving taxpayers up to $442 million. Programs that do provide good value are likely to be kept or expanded, which implies that businesses should stay up-to-date on Independent Electrical System Operator (IESO) conservation funding programs over the coming year or so. There could be new lucrative incentives to explore in addition to receiving lower-cost hydro year-round. Increasing access to apprenticeship opportunities. This announcement suggests that the Graduated Apprenticeship Grant for Employers (GAGE), a previously proposed apprenticeship funding framework, will undergo a transformation process that aligns more closely with the provincial government’s new apprenticeship system. More details on a new employer funding program are likely to be released by the end of 2019. The Northern Ontario Heritage Fund Corporation (NOHFC) is a provincial agency that administers many government funding programs targeted towards Northern Ontario employers. To provide greater support for the region’s employment needs, NOHFC will open its Northern Ontario Internship Program (NOIP) candidate eligibility criteria, making it easier to hire an employee through the program. Historically, employers needed to identify a recent post-secondary graduate to access funding; now, candidates can be new entrants into the workforce, those transitioning to a new career, the unemployed, and the underemployed. In addition to those changes, NOHFC will also create a new stream of NOIP funding targeted towards hiring Indigenous workers. This highlights the Indigenous population’s importance to Northern Ontario’s economy and helps address talent shortages in areas such as skilled trades. One question that remains is how businesses will be impacted if the popular Canada-Ontario Job Grant (COJG) is not replaced by another federal or provincial funding program. COJG was introduced in 2014 as a six-year training grant that helped employers offset the costs of third-party led training programs. Canada’s federal budget introduced the Canada Training Benefit as a new approach, and the provincial budget does not provide training grants for employers either. There is still time for a renewal of funding before the program’s mandate expires, although it could still be some time before new details are announced. While Ontario’s 2019 provincial budget laid a vision for fiscal responsibility, it also offers the framework for many new government funding programs and tax incentives that will have a direct positive impact on businesses. The announcements made in Budget 2019 do not share significant details of these government funding programs, rather, they imply that there are active consultations taking place on how these grants and incentives will look, and that business leaders should anticipate their launch in the coming months. Effective: Measured on impact and if they deliver on their objectives. The cyclical nature of government funding makes it so that budget releases do not always provide a clear picture of business incentives moving forward. It often takes months or even years post-budget to develop a sense of how funding commitments will support businesses. While some provisions provide immediate impacts on the business climate, others will take time for commitments to turn into government funding programs. 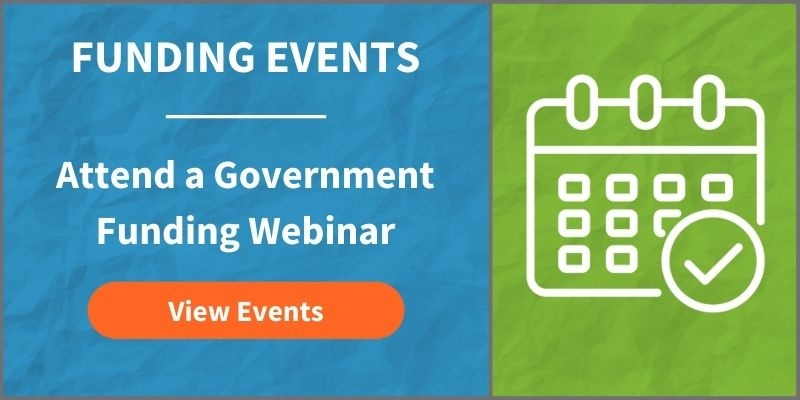 Business owners and executives interested in learning how to prepare for government funding success should register for an upcoming funding webinar or event. During Mentor Works’ government funding workshops and webinars, we discuss trends in government funding programs, identify specific grants and incentives worth applying for, and explain how the process of working with a Government Funding Planner™ can help optimize the funding application and follow-up process.